If you’re into a minimalist aesthetic then these could be just the plug sockets for you. Simple and chic, our 1 gang steel plug socket is a true industrial classic. Because it is so unassuming it does work really well in pretty much any style of industrial-led interior; on grey walls in a Scandi-style office, in a modern rustic kitchen with stainless steel accessories and also in an undone, sultry grey bedroom. Each silver steel plug socket has a gorgeous industrial style brushed steel finish with a choice of black or white inserts. Great for any industrial style interior – anything from modern rustic to contemporary minimalist. We love this silver socket in an industrially styled space – think New York loft. Place on sleek white walls, or, if you’re feeling particularly rugged, embrace exposed brick walls, the ultimate in rustic style. Complete the look with reclaimed wooden flooring and raw steel accessories. Our minimalist steel wall socket is good quality, good looking and affordable too. 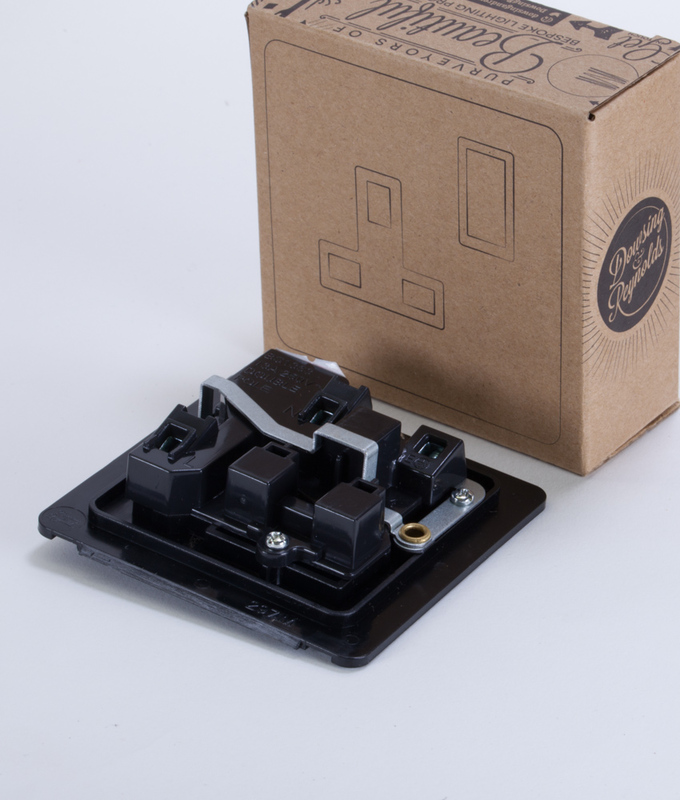 One of our main drivers here at Dowsing & Reynolds is affordable design with an edge, which is exactly why we designed our own range of plug sockets.